Mary is a luxurious Egyptian cotton sateen with a generous 450 thread count from the Visconti collection. Custom color combinations - main color and contrast color - may be ordered using the Visconti color chart (shown above). Made in Italy. COLORS: Main body color and contrast color available in all colors from the Visconti Collection (shown above). 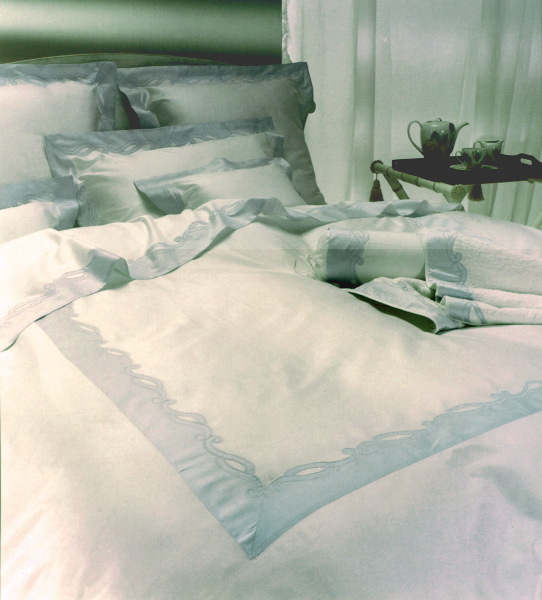 Duvet cover with embroidery on three sides "U" shape on top. Shams prices are shown per each.